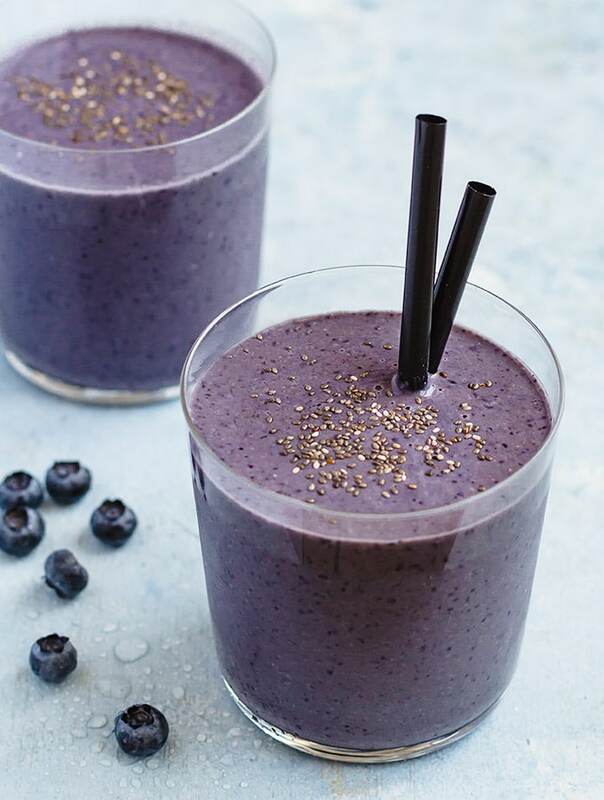 Healthy, nutritious, refreshing, and utterly delicious, this creamy Blueberry Matcha Smoothie has everything you need to start your day off right! I love a good smoothie; preferably one packed with fruits, leafy greens and maybe some oats too. The great thing about smoothies is that they are no fuss, you just need a blender and about 5 minutes to make them, and any leftovers can be stored in the fridge for a couple of days. So basically all the good things! 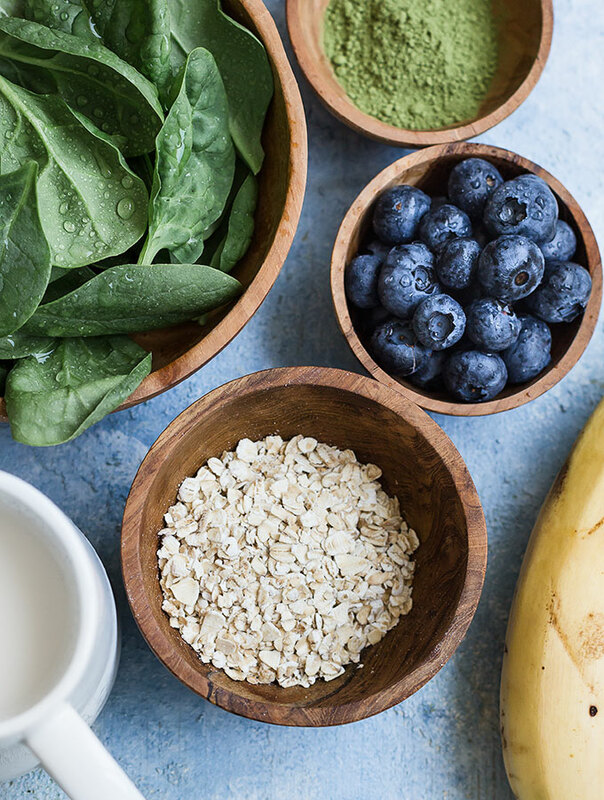 Banana creates a creamy, sweet base, baby spinach → greens, blueberries add color, flavor, and loads of antioxidants (among other things), while old fashioned oats keep you nice and full until lunch time. I also added almond milk which upped the creamy factor even more. 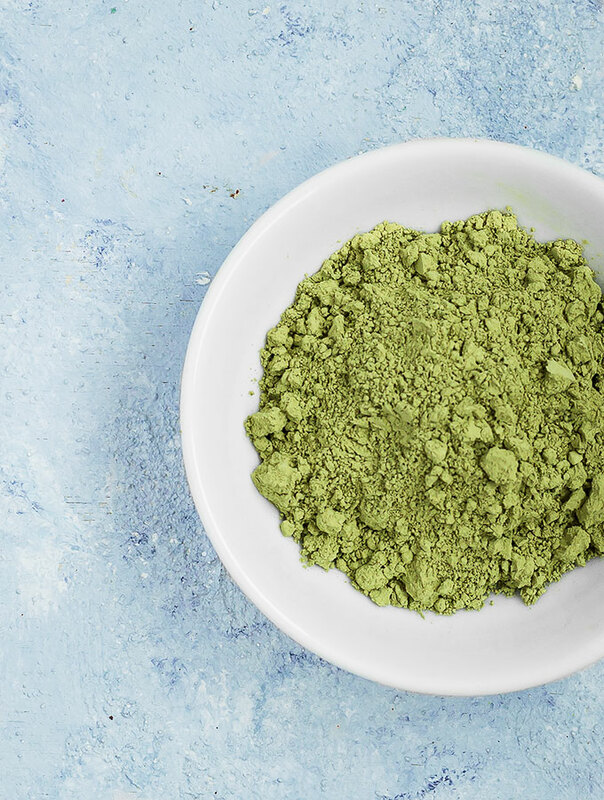 Matcha powder is finely ground whole green tea leaves, and it has all sorts of health benefits: high in antioxidants, rich in fiber and vitamins, lowers cholesterol and blood sugar, boosts metabolism and burn calories, increases your energy level, etc. You can add matcha tea powder to desserts, cocktails, ice cream, soup, overnight oats, and so much more. What does it taste like? I am not crazy in love with the grassy flavor of matcha but, when thrown into smoothies is a whole other story. 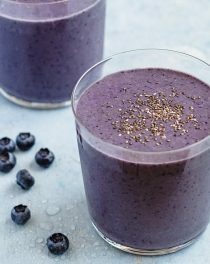 The addition of blueberries and banana hide the taste of the matcha completely! 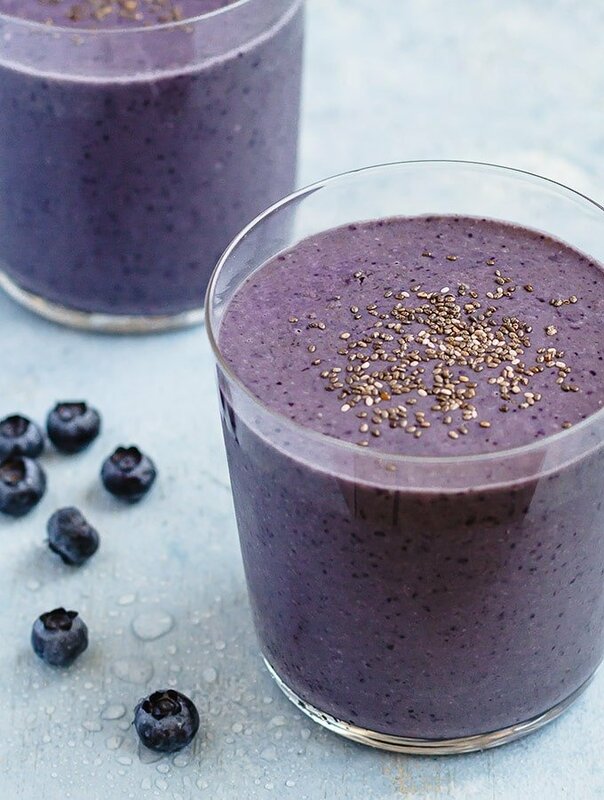 This smoothie is perfect as is, but it can also be adapted. 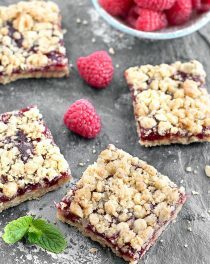 Substitute blueberries with raspberries, strawberries, or mixed berries. 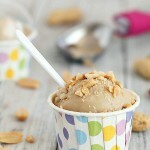 Use any milk or milk substitute of your choice, whether it be dairy, soy, cashew, coconut, etc. Try another leafy green in place of spinach, throw in some almond butter or chia seeds for an extra nutritional boost– the options are endless. I don’t like to add sugar to smoothies, if you want to make it sweeter, then by all means just add some maple syrup, agave nectar, honey, or even stevia. Frozen fruits make the smoothie thick and cold, without diluting the flavor. I usually freeze individual smoothie packs in Ziploc bags, then all I need to is add milk, matcha powder, and oats. Super easy, right? Looking for more smoothie ideas? Check out a few of my other favorites: Glowing Skin Berry Smoothie, Tropical Raspberry Swirl Smoothie, Raw Beet Raspberry Power Smoothie, and Avocado Strawberry Layered Smoothie. 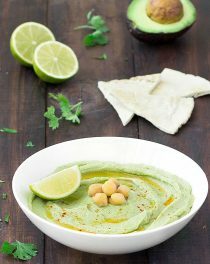 If you try this recipe, let us know what you think! Leave a comment, rate it, and don’t forget to tag a photo #aseasyasapplepie on Instagram.We’d love to see what you come up with. An awesome breakfast on-the-go! 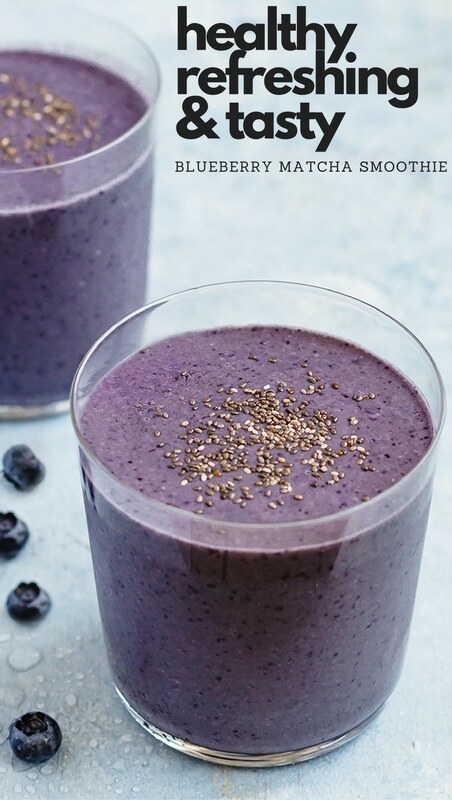 This creamy blueberry matcha smoothie is healthy, nutritious, naturally sweetened, and vegan. Combine all the ingredients in a blender and blend on high for 2-3 minutes, or until smooth and creamy. Serve immediately, or store in the fridge for up to 2 days. Stir before serving. * You can use fresh blueberries too, just add some ice to the blender.